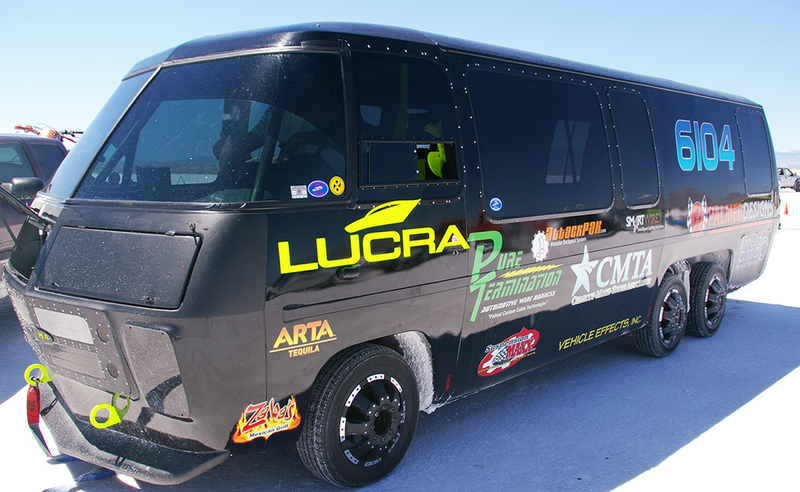 How about a 120 mph Custom RV? You won’t be complaining about being caught behind this rig! 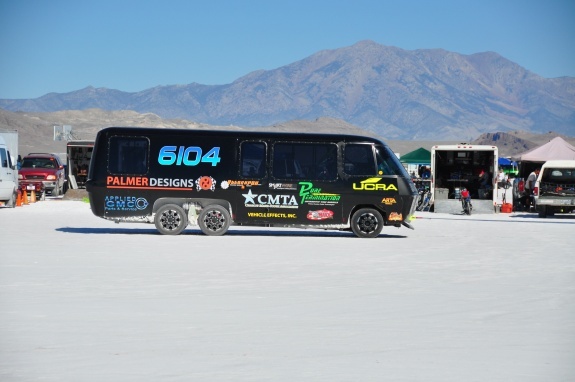 Sitting on the huge expanse of pure white salt, the evil looking all black motorhome looks even bigger than it is. 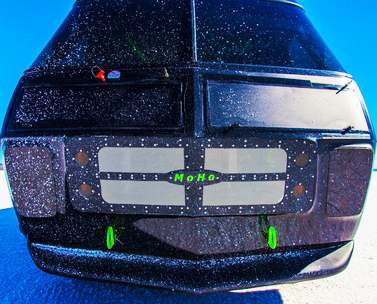 Everything is black…windows, trim, head and tail light covers. It couldn’t be more sinister. 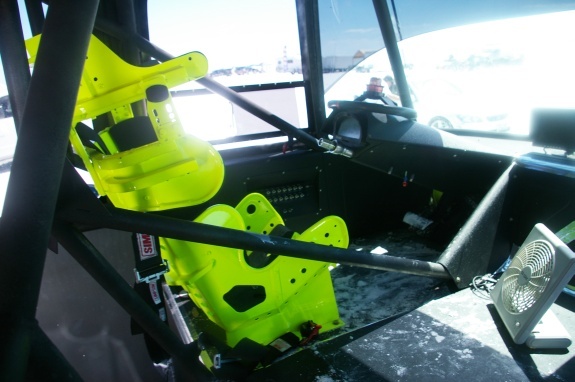 Britt Palmer pulls himself out of the custom racing cockpit, ducking under a complex structure of roll cage. He’s a good sized guy, 6-2, maybe 6-3 and he gives a solid hand shake. You’d never know he is suffering from a debilitating disease that eventually will rob him of all movement. Right now he’s too excited. 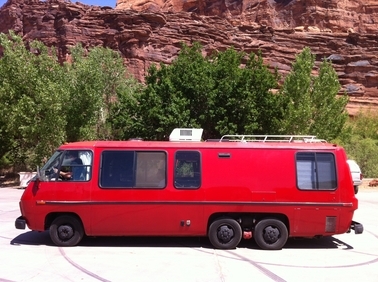 Bonneville Speed Week is pretty well known for odd vehicles and the 1977 GMC Kingsley motorhome easily fits that category if only because of its size. 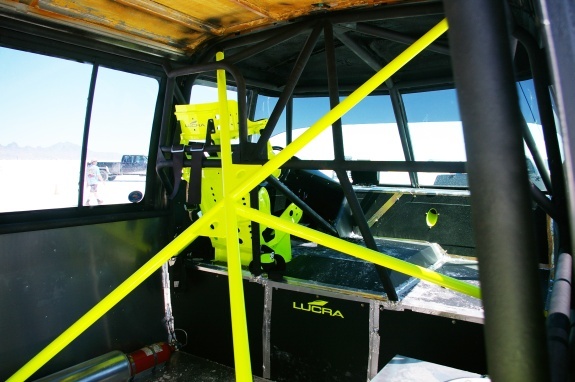 Sitting at the start line it is imposing and the starter must climb completely inside in order to run through his standard driver safety protocol, tugging on belts, insuring the driver is tucked into the bright yellow roll cage just right. The motorhome is extremely impressive both on the outside and inside where the roll cage immediately catches your attention. It turns out Palmer has some pretty sophisticated connections to pull this monster together. 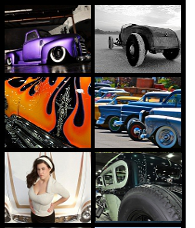 Vehicle Effects is a Sun Valley, California company that has been handling movie cars and transportation needs for over 10 years and has been involved in providing vehicles for such movies as Meet The Fockers, Jarhead, Frost / Nixon, Dreamgirls, Ghost Whisperer, and vehicle driven titles such as Death Race, Fast & Furious Tokyo Drift, Fast Five, Fast & Furious 6, The Green Hornet, and Total Recall. As if Dennis needed help… Lucra Cars is located in San Marcos, California and builds completely custom street cars that border on full on race cars. 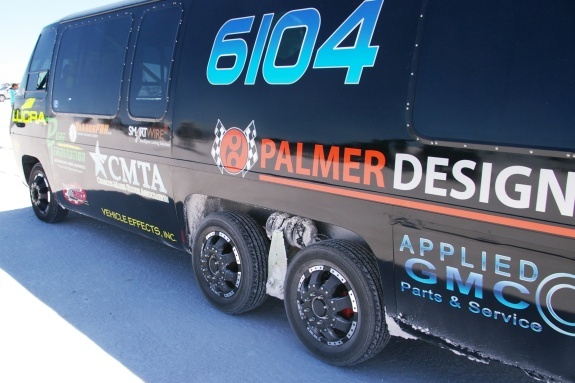 The company was also involved in the development of one of the primary vehicles seen in Fast & Furious 6. Which brought us to the number one question that just has to be asked of the guy who just drove this rolling behemoth on the Bonneville Salt Flats. Why? Palmer said he was feeling pretty low at that point and “generally feeling sorry for myself.” He recalled that one evening he was watching the movie, Stripes, staring Bill Murray, and saw the infamous “EM-50 Urban Assault Vehicle”, the vehicle Murray used to terrorize the Russians. “I thought to myself, WOW! I like that motorhome,” says Palmer. “So I called some friends and said I’ve just been inspired to build something different and make it go fast!” And this is where the project begins. Palmer got on the computer, found a used GMC on eBay for a couple thousand dollars and bought it. 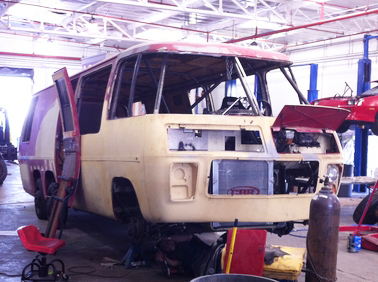 Enlisting his friends he made the right connections and the machine began to take shape as the biggest, baddest motorhome of all time! 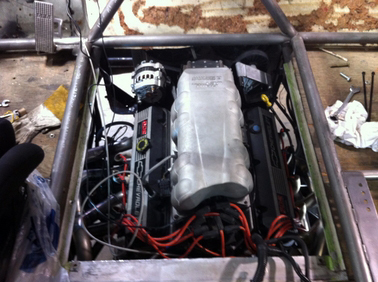 The 600 hp motorhome is powered by a Chevy 502 Ram Jet engine with power transferred through a TH425 transmission. 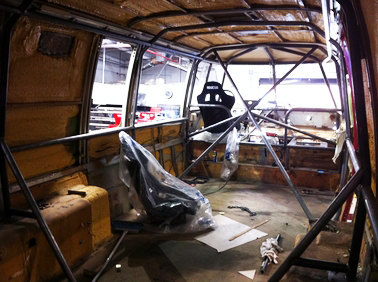 The Chromoly roll cage was fabricated to meet SCTA rules for Bonneville and the entire interior fabricated out of aluminum. “We’ll make another attempt at the record in 2014,” Palmer says. Until then the GMC will be a rolling billboard to raise awareness for CMT which currently has no cure but can be controlled to a point with physical and occupational therapy and moderate physical activity. Palmer waves to the crowd gathered near his empty pit area and jumps in the driver’s seat to head for home. He has a serious project ahead, fighting this disease that is attempting to rob him of his mobility. And an evil looking motorhome may be just the thing he needs to win this battle. Well just a great job and a good cause. Of course I still think that the coach by Jim Rosenbaugh was the better coach in that it still had the motorhome approach with the rear area, and some of the living facilities of true class A motorhome. You took it to the next step. but Jim drove his coach to flats and drove it home. Not you! So maybe you should ask Jim for a run off, but you would have to do some mods to get back to the real GMC. Could be an interesting adventure. Chuck, can you help us get some pictures of Jim Rosenbaugh’s motorhome? And it says in the story that Britt did drive this RV to and from the salt… How else you gonna get it there! ?